Wednesday, July 22 at 6:00 p.m. 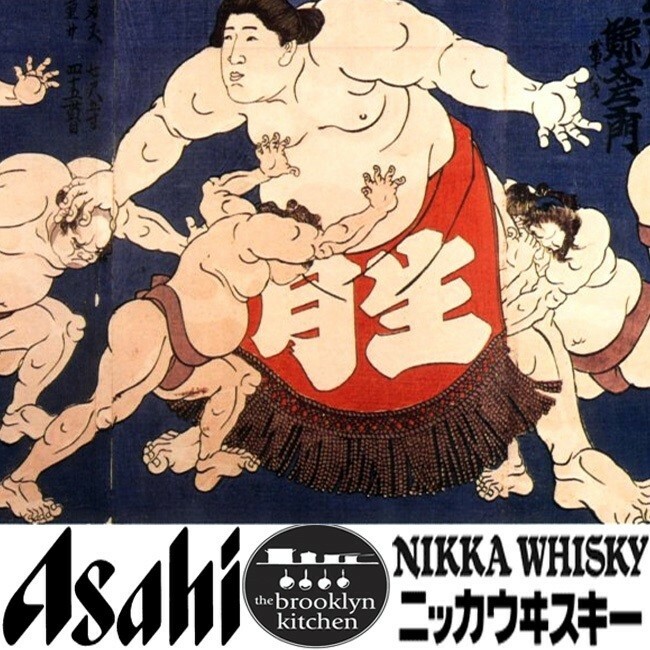 The Brooklyn Kitchen is all about Sumo wrestling. Join them for a day of watching sumo matches on the big screen, drinking beer, and eating bento. It’s the closest you can get to live Sumo without the flight to Tokyo. Admission includes a seasonal bento box, deep bowls of Chankonabe, plentiful beer from Asahi, and a few tasty surprises. Come early and dig in while the crowd watches the big men toss each other around in this ancient sport. Chankonabe, the traditional stew of Sumo wrestlers, is served daily in sumo stables. This hearty vegetable and meat stew can be made of nearly anything; however, during sumo tournaments it is made exclusively with chicken, the idea being that a rikishi (Japanese for “wrestler”) should always be on two legs like a chicken. For more information and to purchase tickets, please visit The Brooklyn Kitchen’s website.